We took a little break out of our day to watch the historic Solar Eclipse. It was a great experience! 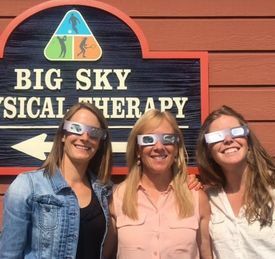 Pictured from left to right: Jenna Monaco, Dawn Christian, PT, DPT, CHT, & Allison Molnar, DPT.